Description: Strand Bookstore is an independent bookstore located in New York City's Greenwich Village. 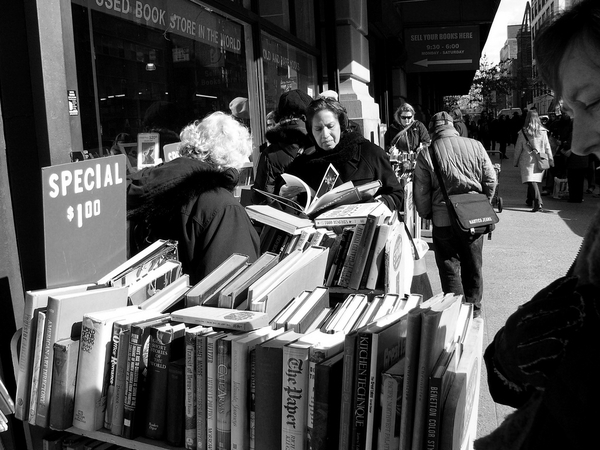 The store is famous among New Yorkers for its giant collection of publishers' overstock, used, rare, and out-of-print books, as well as the chaos on and around its shelves. The store houses the city's largest collection of rare books, and is also a contender for the title of world's largest used bookstore, its major competitor in this regard being Powell's Books of Portland, Oregon. Its slogan is "18 Miles of Books."